Revelling in the ongoing success of her previous single titled "Radar," Bimbo Queens has decided to go a notch higher as she ups the ante with the release of another brilliant tune as can be felt on the WonderBeats-produced number titled "All Over"; officially premiered on her re-branded website (www.bimboqueens.com) and released under the management of Arems Entertainment, Bimbo Queens is sure to score a hit on this number which sees her brew in on the confidence and experience garnered from previous releases. 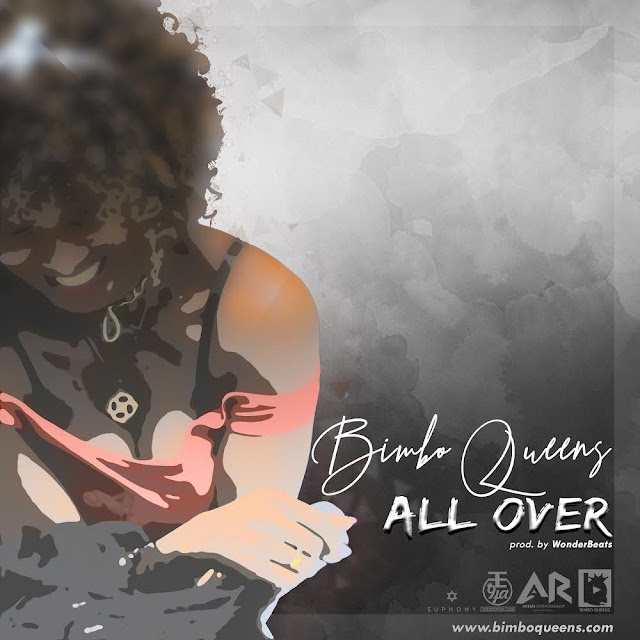 "All Over" sees the fast-rising songstress in a show of strong vocal exhibition as she enticingly sings to her lover - this number is bound to be enjoyed by lovers of good music, both young and old and would do well even on a critic's play-list as the entirety of the song carries within itself an infectious feel - listen up, share your thoughts and anticipate the visuals to this number which we hear would be shot in the month of September. | ENJOY!! !